Fashion inspiration can come from anywhere and everywhere, including other people's closets. Looking through other people's closets (with their permission, of course) is a great way to experiment with different styles without costing you a penny. 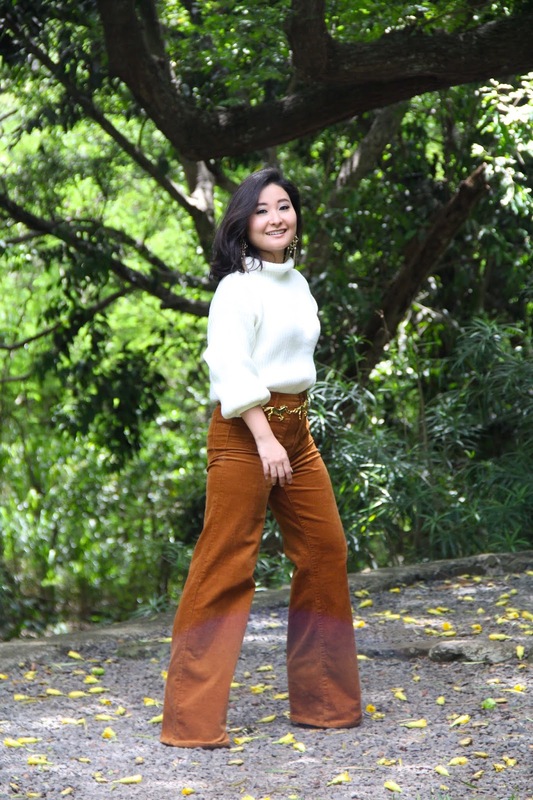 For my first closet raid, I challenged myself to find at least three pieces in my mom's closet and style them. 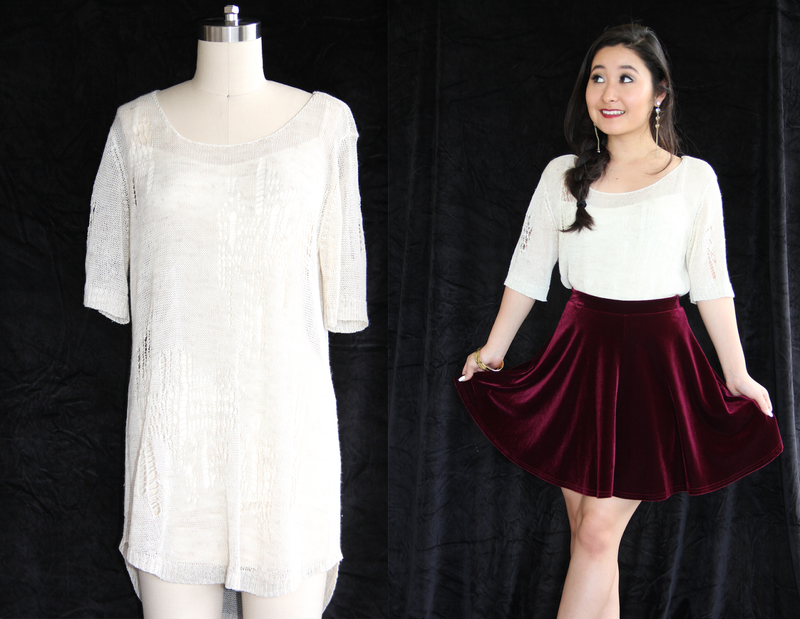 The first piece I chose is by far my favorite piece in her closet- this Free People over-sized blouse. If I were to describe my mother's style it would be "boho-chic" because she loves loose, "flowy" silhouettes, embroidery, and floral prints. Since it's a free-flowing piece, I decided to pair it with a tight, high-waisted jean short on the bottom. 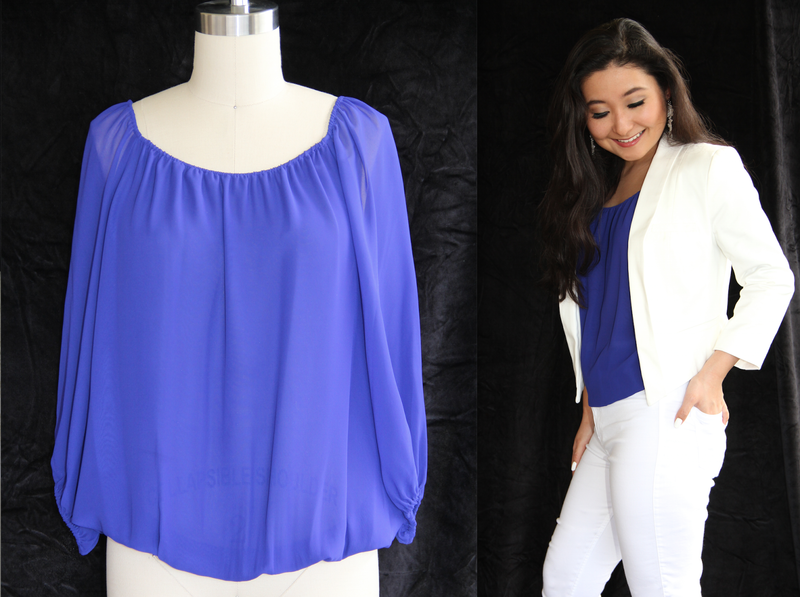 This next piece is a sheer cobalt blue blouse by Vince Camuto. I absolutely adore the color and the cut. Since my mom and I are not the same size, it was a bit big for me. In order to make it wearable, I gathered the extra fabric on the bottom and tucked it in the back of my white jeans and threw on a blazer to give me a more sleek silhouette. This is my second favorite piece in my mom's closet. This casual Rachel by Rachel Roy top is sheer with holes all over it. Since I am short, it's very long on me. Therefore, I decided to slip on a burgundy velvet skater skirt over the top to add color and help define my waist. Hope you enjoyed this post and stay tuned for my next closet raid! As always, sending you lots of love from my heart to yours. I love that you raided your Mom's closet first--great experiment, Kristen! Wow that wass strange. I just wrote an incredibly long comment but after I clicked submit my comment didn't show up. Sorry I took so long to reply to your comment. A lot of comments posted on my blog have been going to my email and not on my posts, so I finally figured out a way to fix it. I'm so sorry, but I never got to view your long comment, but thank you so much for checking out my blog. I'm glad you like it! 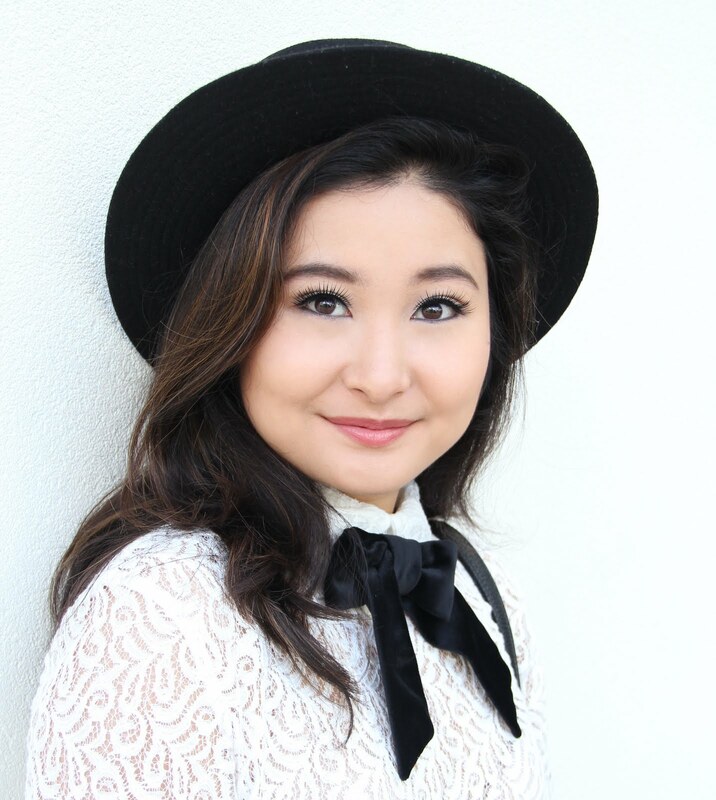 Thank you so much for checking out my blog and for sharing it! I am so glad you found my post helpful. Thank you for stopping by! Thank you so much for letting me know because I had no idea. I will definitely try to fix this problem soon. Thank you for stopping by Elizabeth, Marie, and Me! Thank you so for checking out my blog. I am currently using Blogger as my site platform. When I first started my blog, I did have to learn how to import some html codes for my wallpaper, social media icons, etc. However, the amount of html coding expertise you will need to know depends on how fancy you would like your blog to be. When I write my weekly posts now, the only html coding I use is for my pin-it buttons. Hope that helps! snare we keep iin touch extra about your article onn AOL? I require a sppecialist in this house to resolve my problem. May be that is you! Havkng a look forward to see you. Thank you so much! I really do enjoy writing new posts for my blog and I am glad you enjoy them. We can keep in touch through my social media sites and/or email. That is a very good tip particularly to those fresh to the blogosphere.Simple but very accurate information… Thanks for sharing this one. Thank you so much for letting me know. I recently re-uploaded my images, so hopefully they will load properly now. Thank you for checking out my blog! Thank you for your nice comment. I really enjoy blogging and I try my very best to put out quality work for my viewers. too see a nice blog like this one nowadays. Thank you so much for your thoughtful comment. To answer your question, the theme on Blogger I am using is Ethereal and I chose this background from shabbyblogs.com. What I love about shabbyblogs.com is that they have so many amazing backgrounds to choose from and they are all 100% free. Hope you check it out! Thank you so much. You are too kind! I'm glad you enjoyed it! Thank you! My platform is Blogger and I purchased my domain name from GoDaddy.com. As of now I do not have an affiliate hyperlink. Hope that helps! Thank you so much for taking the time to look at my blog! I'm glad you enjoyed it. Thank you for checking out my blog and for subscribing to my RSS feed. I am so happy that you found my blog, even if it was by error. I hope that you will also enjoy my future posts! Thank you for bookmarking by bog! You can also subscribe to my RSS feed to get an update via email every time I post something new. Thank you so much! To answer your question, I normally listen to music before and sometimes while writing my blog posts. Personally, I feel like I focus better with music in the background. Also, you could try meditate a little before writing. That always helps me to clear my mind. Hope that helps! Currently, I am using Blogger as my platform. I have had two other blogs on Wordpress for school a while back and I liked it, but personally I prefer Blogger because it's easier for me to customize. Hope you find a platform that works best for you! Good luck! The first step after I created a Google account (I am using Blogger as my platform), I purchased a domain name from GoDaddy.com. This is not necessary, but I wanted my blog to be www.elizabethmarieandme.com instead of www.elizabethmarieandme.blogspot.com. Then, I had to change my blog address under settings. After, I began to customize my blog and add links to my social media platforms. The only thing I invested in for my blog was my domain name. Everything else was 100% free, including my wallpaper. I found this great website: www.shabbyblogs.com where you can get beautiful blog wallpapers and backgrounds for free. Hope that helps. Good luck with starting your blog! Thank you! Stay tuned for new posts every week! I hope so! Thank you for your comment. To answer your question, I do receive spam responses, but they do not show up in the comments section on my blog. Blogger automatically sorts them for me an places them in a spam folder. However, I do have to take out comments from the spam folder that are not spam. I am not sure about any plugins, but if you are using Blogger as your platform the spam comments should not visible on your blog. Hope that helps. I'm pretty pleased to discover this site. I want to to thank you for ones time for this wonderful read!! Thank you for stopping by Elizabeth, Marie, and Me! I'm glad you enjoyed my site. However I am experiencing issues with your RSS. I don't know the reason why I am unable to join it. Thank you! Thank you for trying to subscribe to my RSS. I will definitely try to fix it, but in the meantime you can put in your email if you would like to get updates via email every time I post something new. Merci beaucoup. J'apprécie cette info précieuse. I am no expert on fashion, but I enjoy sharing my fashion tips with everyone. Thank you for visiting my blog! may be having web browser compatibility problems. Have you ever considered aout including a little bit more than just your articles? I mean, what you say is important and all. Nevertheless just imagine if you added some greaat graphics or video clips tto give your posts more, "pop"! certainly bbe one of the best in itss field. Terrific blog! Thank you so much for your suggestions! I would definitely love to add videos to my blog in the near future. Thanks for a marvelous posting! I really enjoyed reading it, you could be a great author.I will always bookmark your blog and will often come back in the foreseeable future. Thank you so much! I haven't been blogging for very long, but my advice to you is to write about topics that you are passionate about and just have fun with it! Thank you so much! To answer your question, I posted my first blog post about four months ago on April 3. Thank you so much! I customized my blog myself by choosing a theme (Ethereal) from Blogger and inputting the code for my wallpaper that I got from www.shabbyblogs.com. Hope that helps! Thank you so much for your comment, Kavin! 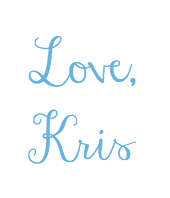 Dear Kris. You have done a great job by posting such an artistic posts. Also the closet by your mom is awesome. Beside artist you must be in the field of embroidery digitizing.